Round 5 of the 2017 VW Challenge Championship may coincide with Stiaan Kriel’s birthday, but there is a lot of hard work ahead for the team on the day before they can start any form of celebrations. And celebrations will of course be a lot sweeter if Kriel can cross the halfway point in the season as leader in both the Overall and Class A championship after the Phakisa Freeway round on Saturday, July 22. Kriel still holds a comfortable lead in the Class A standings with his nearest rival Ian Pepper 15 points behind him. A clutch failure during the first heat of Round 4 resulted in Rory Atkinson taking the overall championship lead. Kriel finds himself in second place, but only 1 point behiind the leader. Reliability and taking the maximum amount of points in his class will be of the utmost importance for Kriel. The clutch failure resulted in some gearbox damage to the Spanjaard Volkswagen Polo which has however been rectified. The second problem that the team experienced throughout the Round 4 weekend related to the front shock absorbers. One of them was repaired and the second required replacement with a brand new Koni shock absorber. Kosie Weyers is also confident that the car will be set up perfectly for the long, fast and flat circuit in the Free State. 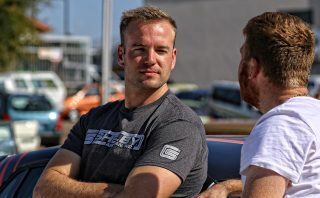 Given the respected reputation that Kriel has already created for himself at the front end of championship, it is quite hard to believe that he will be a VW Challenge Phakisa Freeway rookie during Round 5. His only previous outing at the circuit was back in 2012 during an away-race for the Western Cape GTi Challenge series. 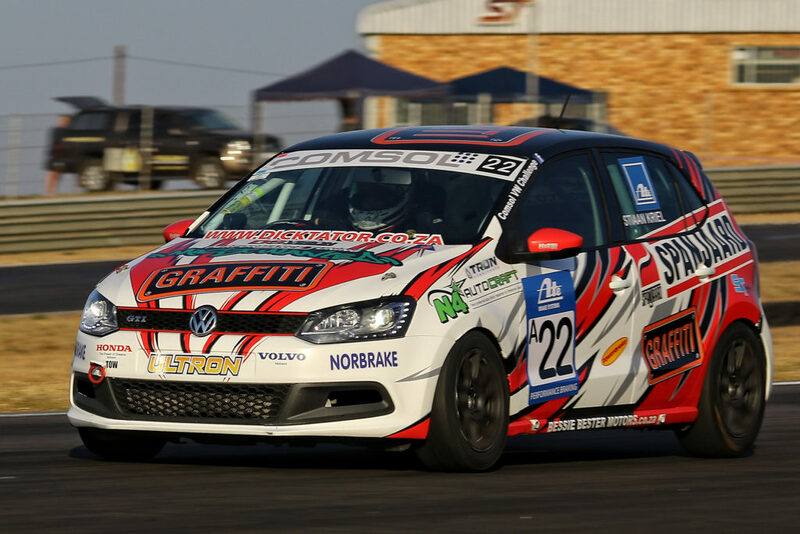 Even with a blown cylinder head gasket, he powered his Volkswagen Polo Classic to an overall second place on the day. Five years down the line Kriel is the first to admit that he can’t remember much of the circuit, but his ability to quickly learn any new circuit coupled with his confidence behind the wheel will be a favourable combination. 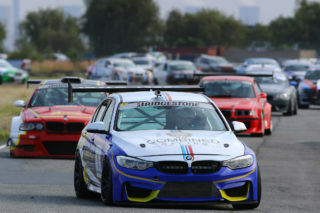 Spectator numbers are usually not that significant at the Phakisa Freeway largely due to the circuit not being in close proximity to any major urban area. 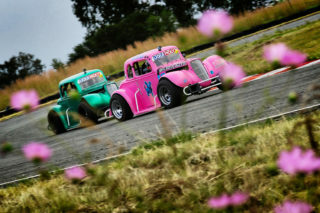 Kriel would however like to invite all motorsport fans in the Free State to attend the day’s events which forms part of the Extreme Festival and will feature a host of action-packed four- and two wheel categories. Fans are also more than welcome to come and meet the Spanjaard Stiaan Kriel Racing team. 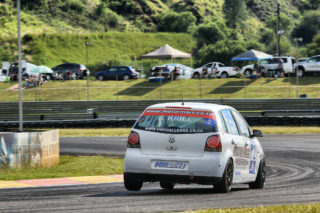 If all goes according to plan, the day will also see the Spanjaard Volkswagen Polo competing in the Phakisa 200 – a 200km endurance race which will include competitors eligible to compete in the 111 Sports and Saloons as well as the AutObarn Superhatch categories. 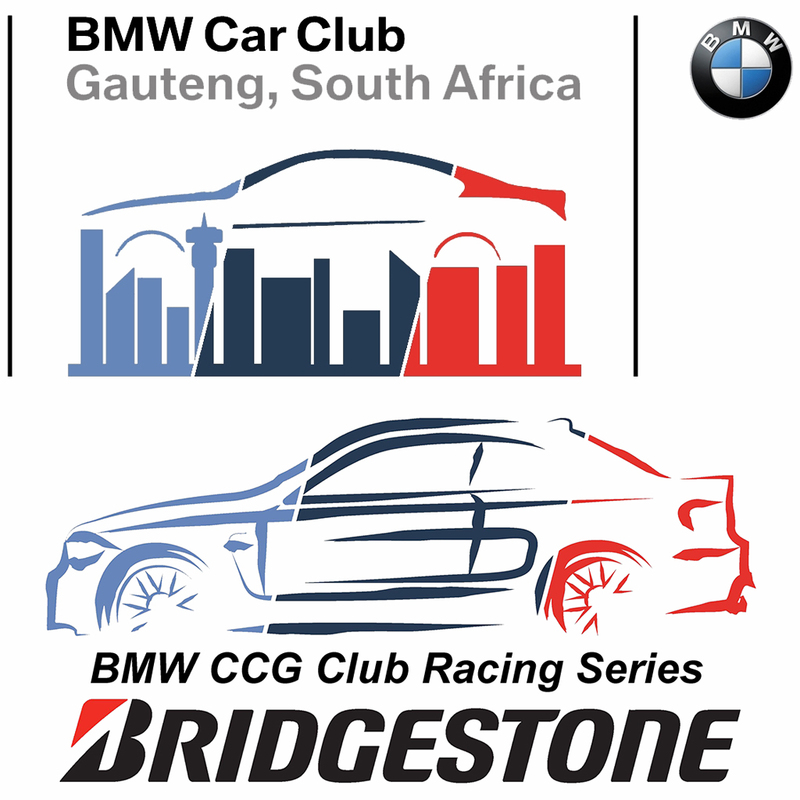 Kriel will partner Robyn Kruger during this event with her doing the bulk of the driving. Kruger is a race competent race driver in her own right and is currently competing in the AutObarn Superhatch championship. 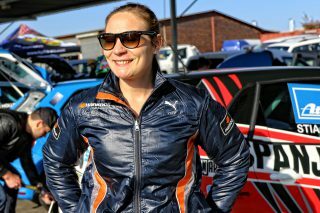 Previously she has competed in the Engen VW Cup which also led to her also competing internationally following her success in this category. Kriel would like to thank his valued sponsors for making his season and championship aspirations possible: Spanaard, N4 Autocraft, Geardown Gearbox & Diff, ATS Motorsport Supplies, Dunlop Motorsport South Africa, Graffiti SA, S&T Tuning and Bessie Bester Motors. In addition to his own sponsors Kriel would also like to thank the sponsors of the VW Challenge for making this exciting category possible: ATE Brakes, Dicktator Management Systems, Tron Lubricants, Glasfix Windscreen Repairs and Norbrake Distribution.